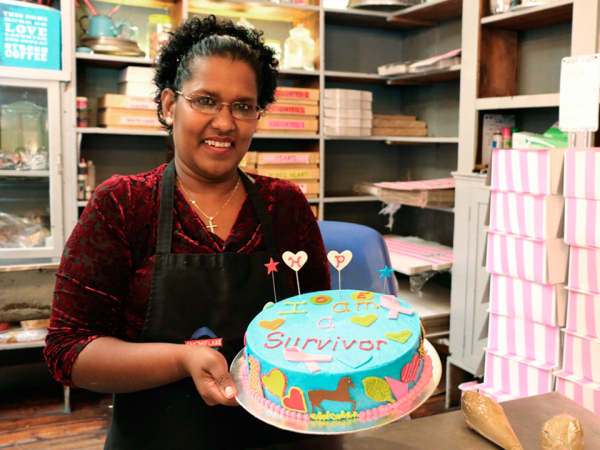 Yvette Bhagwandin never lost hope during her long battle with cancer and clung to it with every fibre in her being. Now that she has beaten the disease, she wants to share this hope with the world. On a Monday morning, while most Joburgers are on their way to work, sisters-in-law Yvette and Cathy Bhagwandin have taken the day off. As the winners of 1Life’s #strongertogether campaign they are on their way to the airport, headed for an unforgettable weekend break in the Mother City. What follows is a treat-filled weekend with a photo shoot, spa treatment, shopping excursion… and an irresistible cake.